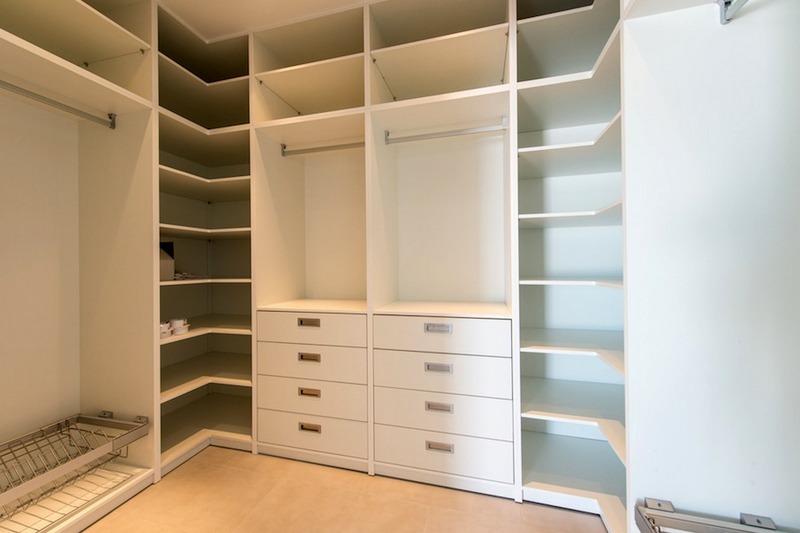 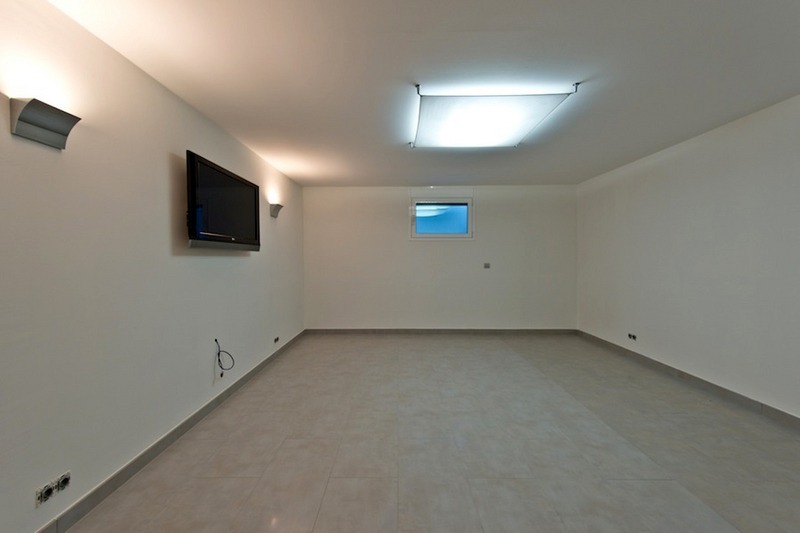 Located in a popular urbanization with a security and gated at night. 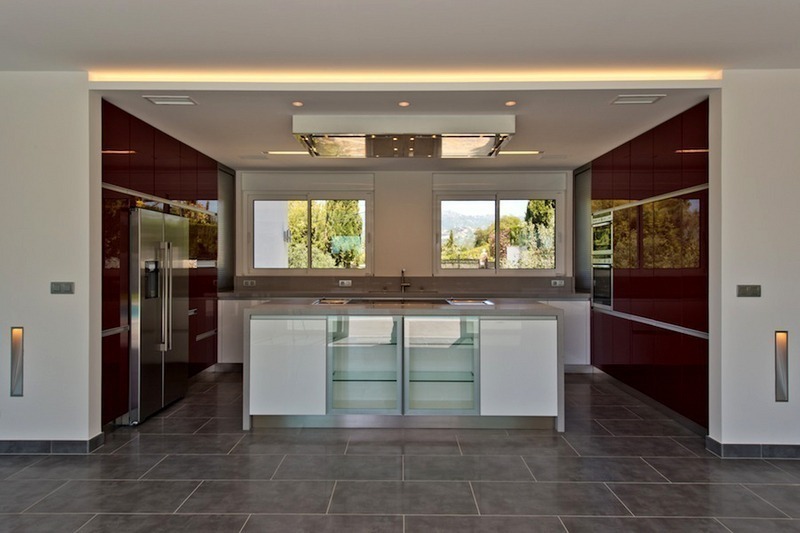 The urbanization has amenities, like a supermarket and restaurants. 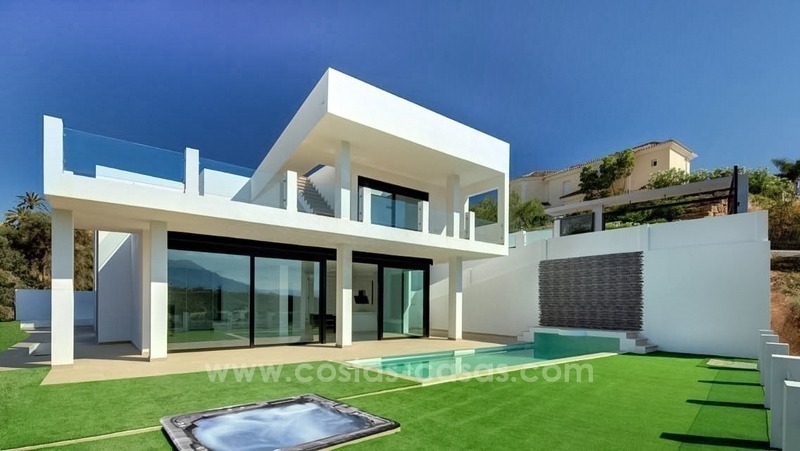 From the villa it is only a minute or two drive to one of Marbella´s best and coziest beaches with many beachrestaurants and 5 minute drive to the centre of Marbella. 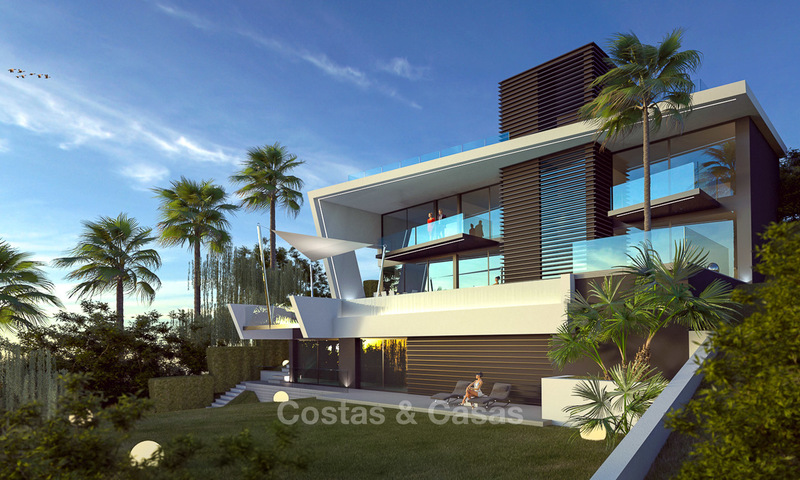 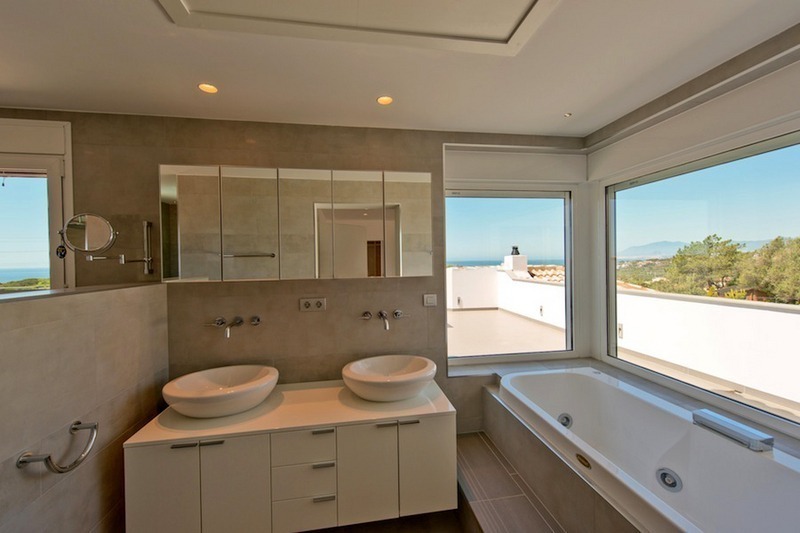 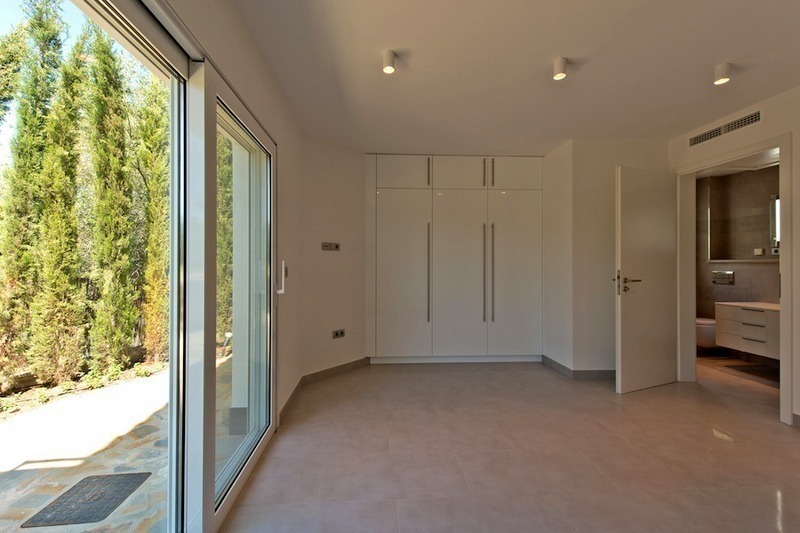 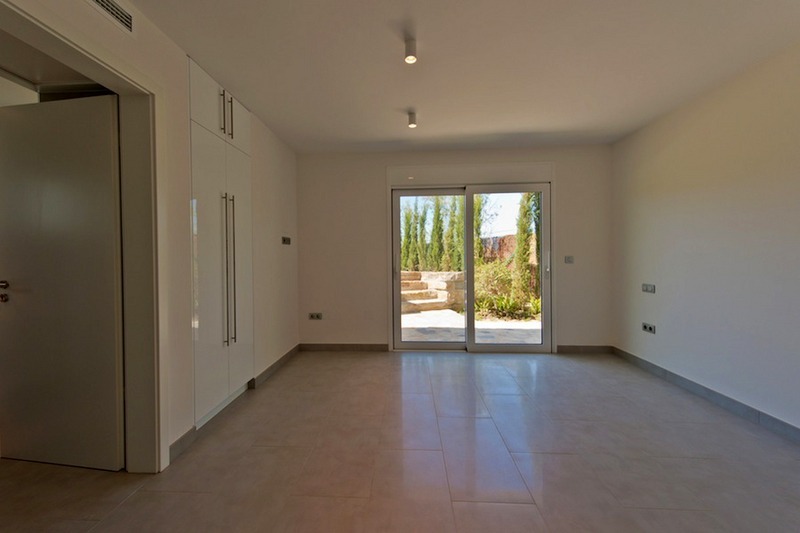 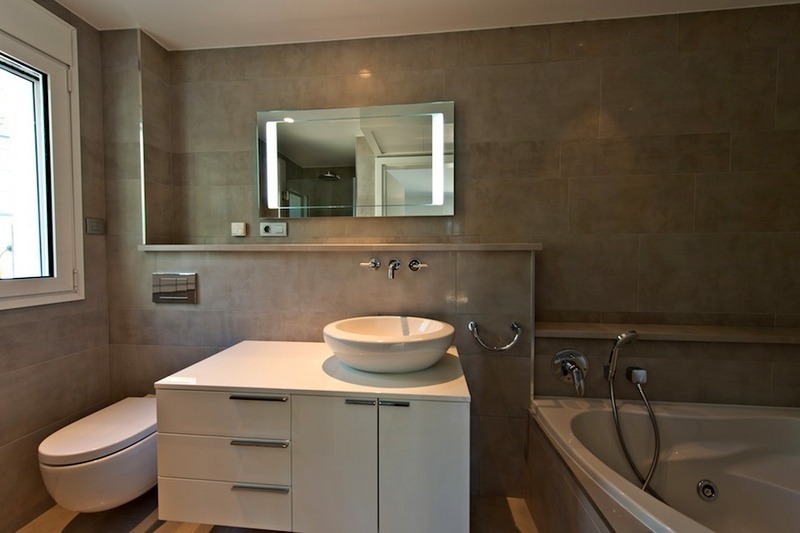 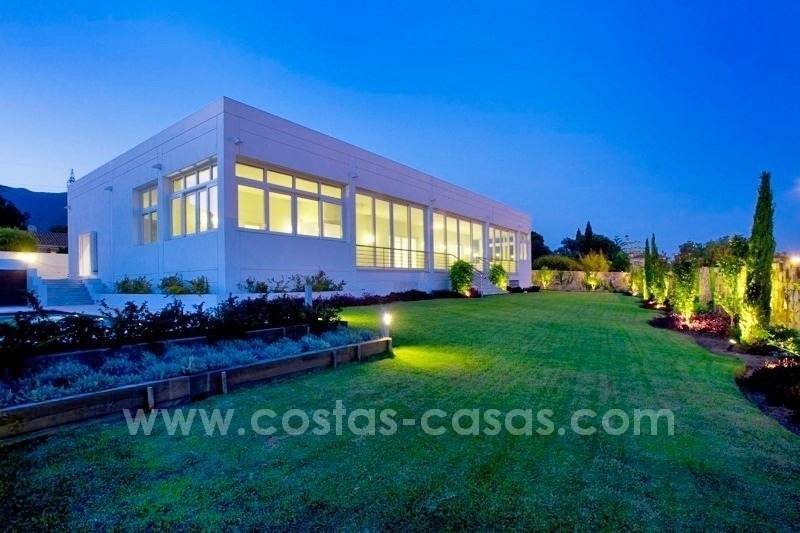 The plot measures almost 1.400m2 and has a private garden and a heated salt swimming pool and outside Jacuzzi. 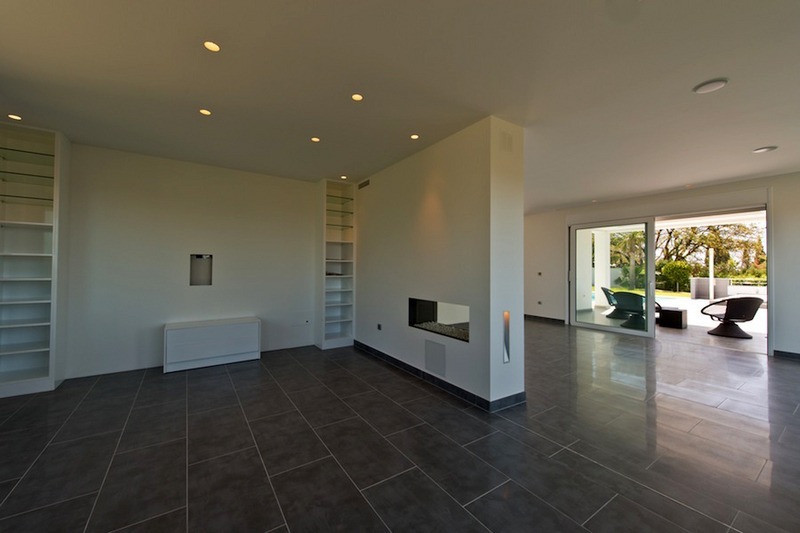 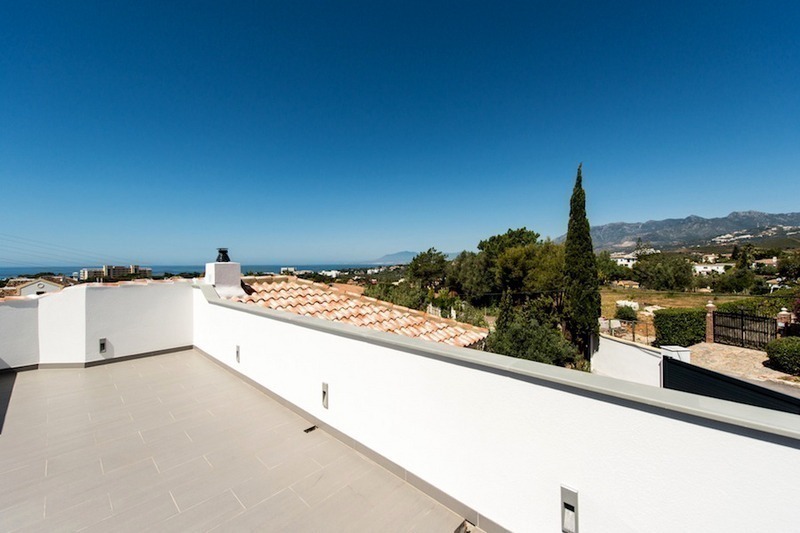 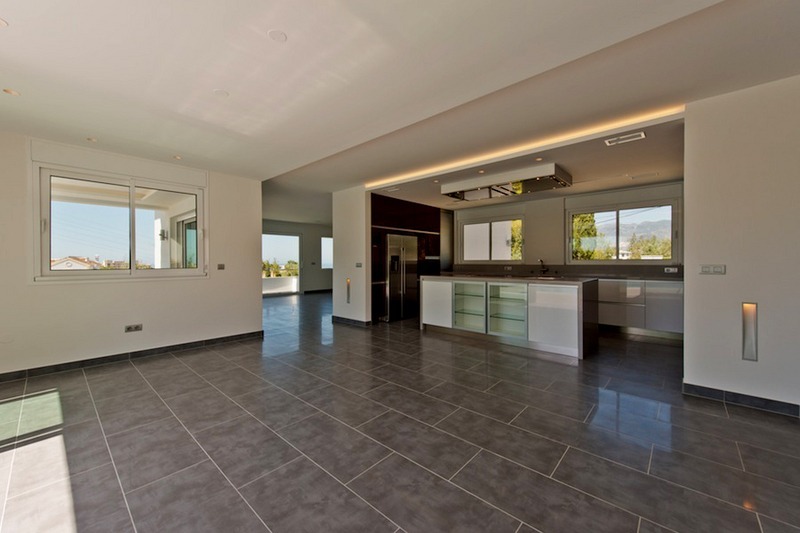 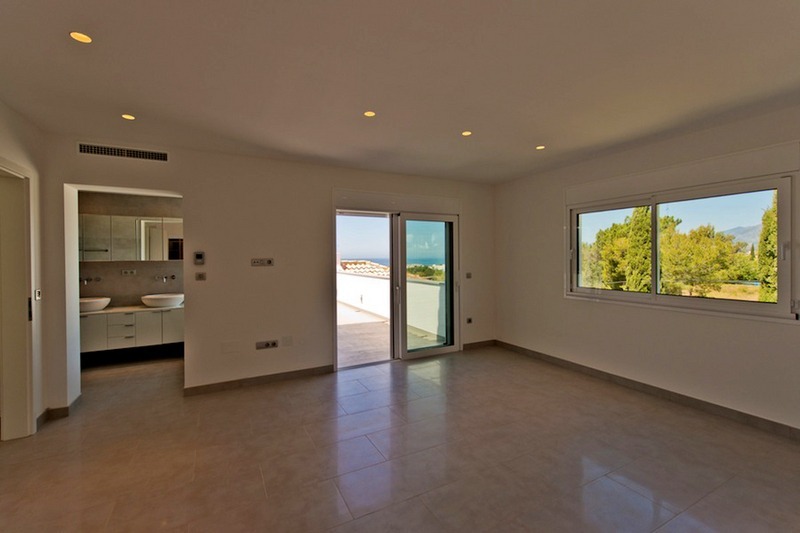 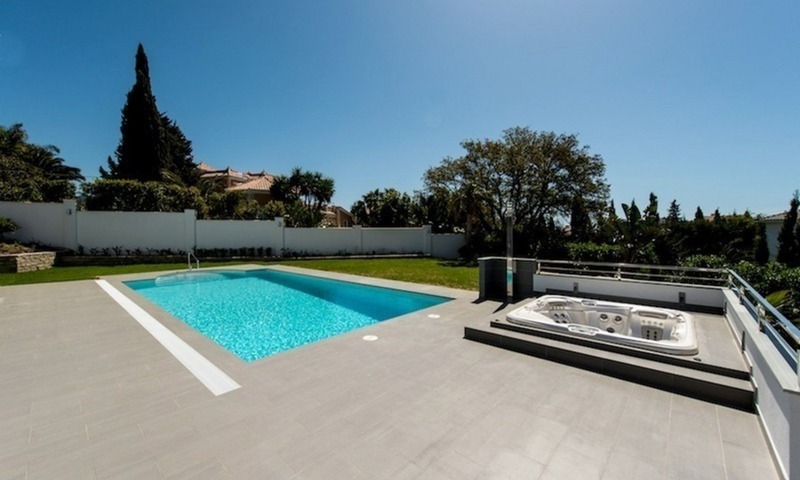 An old villa has been completely rebuilt into a modern style luxury villa.